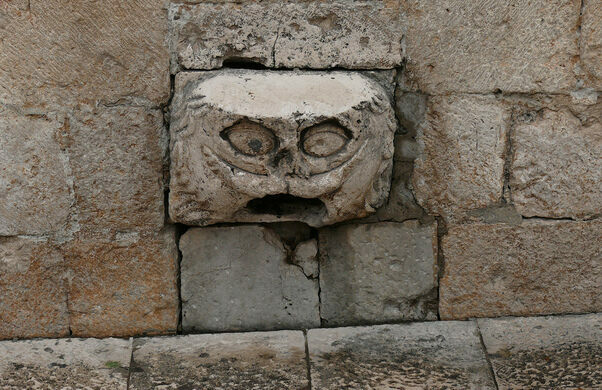 If you enter the Old Town of Dubrovnik by the Pile Gate, as you walk along the Stradun, the main street, look carefully and you might spot a strange gargoyle head protruding from a stone wall. 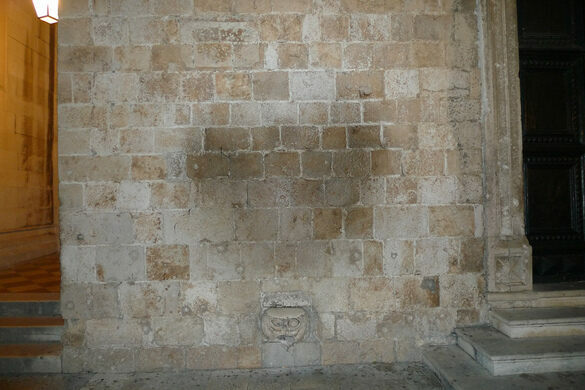 It’s on the left side, just next to the entrance to the Franciscan monastery and the stairway that leads up onto the city’s famous walls. The head stands some half a meter above the ground, sticking out barely fifteen centimeters. Its top surface is polished like marble. The wall above it is noticeably greasy from the touch of a thousand hands. 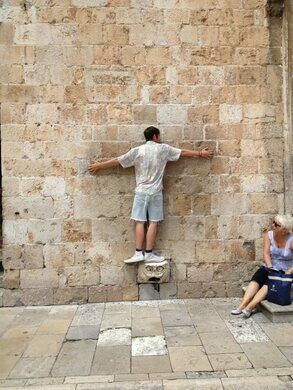 Legend has it that if you manage to hop onto the head, keep your balance, and take off your shirt while still standing facing the wall, luck in love will follow you. The gargoyle head was supposed to represent an owl. It was once the end of a pipe that drained rainwater from the top of the building. The pipes were rerouted a long time ago, and water doesn’t flow from its mouth anymore. The complex has been abandoned since the Croatian War of Independence, barring a stint as a set for "Game of Thrones."